With the fast foodservice and catering business going pretty much on overdrive now before the holidays, have you ever given the thought of how you can increase your business efficiency to be able to serve quicker and make a better revenue? 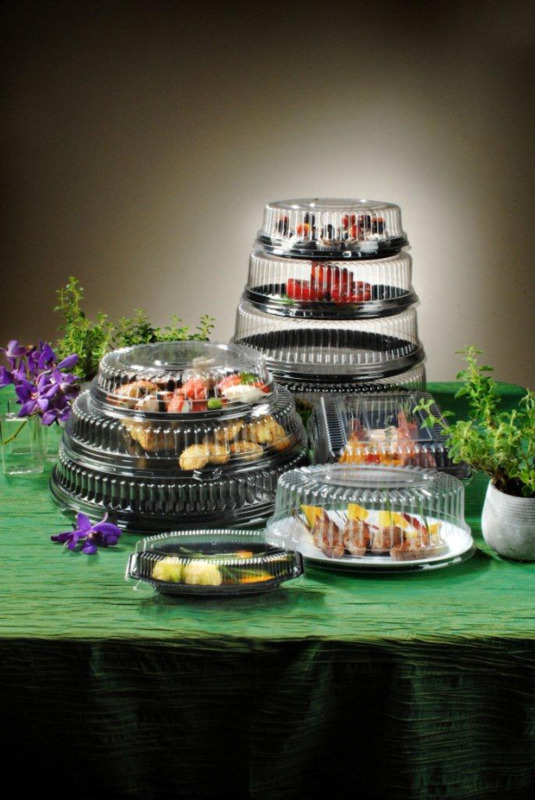 Using disposable cater trays are a great way to start. Why use expensive trays to package your deli or catering foods, high quality polystyrene injection trays and bowls will go a long way without cracking or any other damage to the food or the tray for that matter. Match them up with great looking high dome PET lids and you have just saved yourself a whole lot of money and time thus enhancing the efficiency and profitability of your company. Next you need to look into using disposable catering utensils, there are many great products in today's market that will help you work in your kitchen and your chef will love them as well, they come in different colors so you can match your other products, they are very sturdy so there is no worry of breakage of the products while dishing out the food, works great with hot food as well. All these products are food graded, so no worries on the material used for the injected plastic polystyrene catering or foodservice utensils. If you prefer to buy them in bulk or even in retail packaging, they all come individually wrapped so they stay clean and you don't need to worry about dust or any other dirt getting on the products that stay in the box. The bottom line is, you need to see how these products can earn you money and time, you will enhance the efficiency of your bran along with profitability. When you’re hosting a party, a family event, or you’re trying to make an impression in an intimate setting, every detail counts. You want people to be impressed with your presentations, but how do you keep your displays looking their best? When you’re talking about most social gatherings, the food is one of the first things which catch people’s eye. You’ve spent a lot of time making this food look as nice as possible; where do you go from here? Why would you put your food out on a plate or platter; exposed to the elements when you could elevate your presentation and have your food front and center on serving trays with lids? When you’re talking about an event like a function for your job, you could be left waiting for things to happen for some time. You could bring the food in and set it up hours before the event. Imagine if you’re celebrating a co-workers birthday or having a nice lunch event; you’re not going to want to bring in food at 7 or 8 in the morning and let it sit out for four or five hours, right? When you bring this food in on serving trays with lids you are far more likely to preserve freshness and keep that winning presentation which you had when you first created it. For party or event planners who do this by trade, the need for serving trays with lids is even greater. What is a client going to say in the dewy periods of spring when there are flies buzzing around their appetizers which have been set out for the filtering in of their guests? Of course you can’t control mother nature but you can control the manner in which you introduce your items to the environment. Serving trays with lids are a good thing to have around the house in general. Once mom makes some bread or a nice cake and it’s cooled down you don’t want to be exposing this food to the elements. You need it to remain as unperturbed as can be. You want to ensure that the food you make for your family, for your co-workers, or for an event is going to retain freshness and integrity. 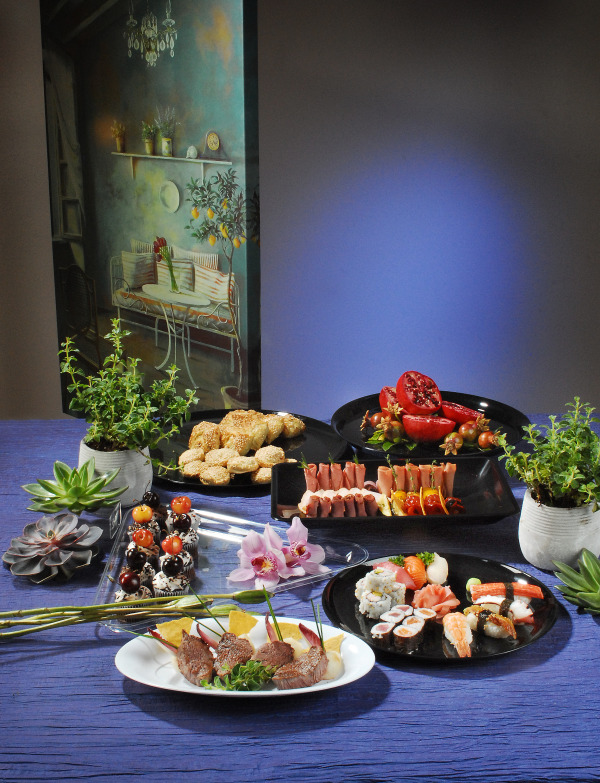 For virtually any type of food and for every event there is the solution of serving trays with lids. It's super bowl season and everyone is going nuts out there. What are you serving asks one, what's on your menu asks another. One thing everyone should bare in mind is, you won't want to clean up when the party is over for whatever reason it may be. The trick is to use party disposables to serve up the entire crew. Whether it's the disposable tumblers or disposable plates, this will ensure that when the party is over, everything goes straight in the garbage bin and you're done! Now for the larger parties you should also consider using 6 oz martini glass which is also disposable and could be thrown away right after the party. You may also want to consider using clear salad bowls and clear serving trays, you could even prepare it in advance by using the platter lid. In any case, make sure you plan ahead smart so you'll be able to enjoy the party 100% and you won't be busy cleaning or even if things get out of hand there's no glass involved to be broken. Enjoy your game and Go _______!